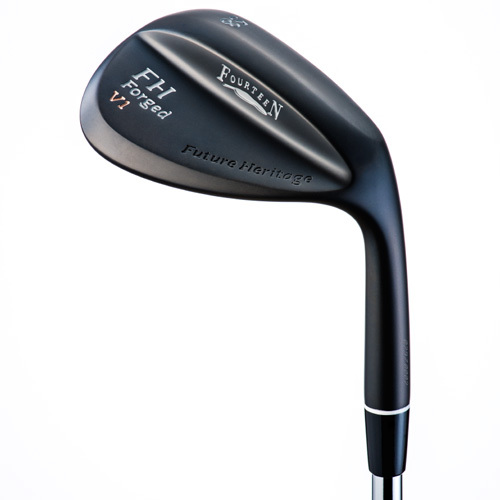 The FH Forged V1 wedges are forged from premium soft steel, crafted with design techniques that appeal to any golfer. These premium-quality wedges combine high spin performance with a classic head shape and design. The FH Forged V1 series features a “double reverse taper blade,” in which the upper portion of the blade gets gradually thicker from heel to the toe. This creates a more efficient weight distribution, improving stability on off center hits all while still retaining a traditional head size. Fourteen clubs’ unique groove structure is highly precise, allowing for great shots in both wet and dry conditions. Each club face is milled for twice the normal length of time to ensure a high level of surface precision (Mirror Milled Face). With each groove painstakingly milled one at a time, we maximize spin performance. Sole shape with straight relief on the leading edge, this shape works well for full shots. Tapered shape sole with a flat surface that extends toward the toe. This shape works well for both full shots and touch shots. The "T Sole", or "Twin Sole" Is a very versatile option with plenty of relief to open the blade. This shape works well for touch shots. A new wedge-specific shaft was developed jointly with Nippon Shaft Co. Ltd. with the goal of creating the optimal launch conditions for our high CG wedges. 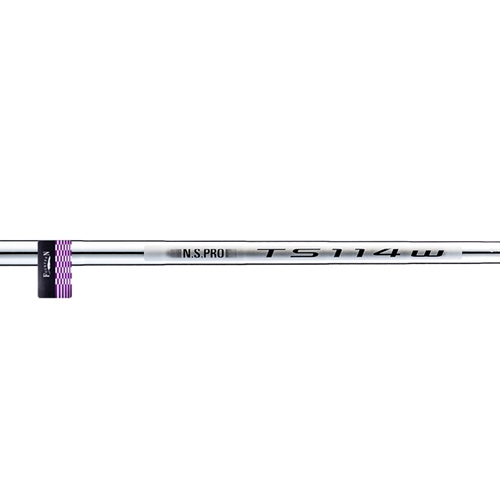 This shaft is optimized for both full swings and for shorter swings, with varying shaft profiles for the "full swing wedges" and the" touch wedges". This helps create the best launch conditions throughout the bag.